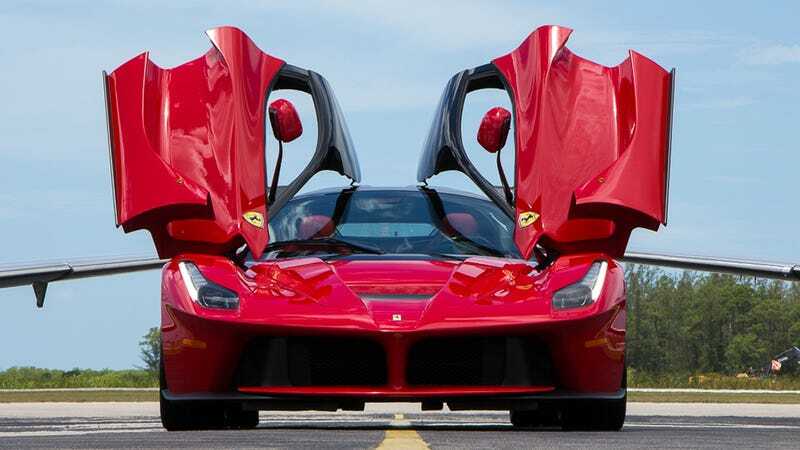 I do not know how someone acquires a LaFerrari, the hybrid hypercar that is, if we’re honest, probably the rawest of the hybrid hypercar trio, and only gets it to 95 miles. The Porsche 918 is heavier, the McLaren P1 still stands in the shadow of its three-seat older brother, but the LaFerrari is a V12 banshee that is lighter than the other two. Weight is about as much as a Nissan 240SX with a cage at 2,767 pounds, horsepower is a claimed 950 with 664 lb-ft of torque, combined between gas and electric support. Redline is a rotary-shaming 9,250 rpm. Bidding is currently at $2,450,000 but it has six more days to draw in as much as the combined worth of the Doge’s palace. BaT doesn’t say why the car has such low mileage, but I’m just going to pretend that the owner was too busy fixing up their 1973 Alfa Romeo Giulia Super to get behind the wheel.